For first-time visitors of Manila, the metro can be quite overwhelming with its ever-busy streets, bustling crowds, and mammoth traffic jams. 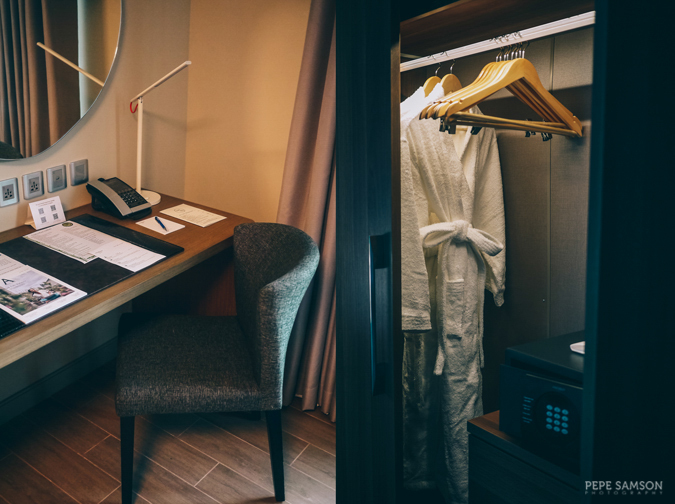 Travelers looking to enjoying the city exactly as they would like it—as opposed to simply being trapped in a community that doesn’t match their lifestyle and preferences—will be thrilled to discover the newly opened Citadines Bay City Manila. 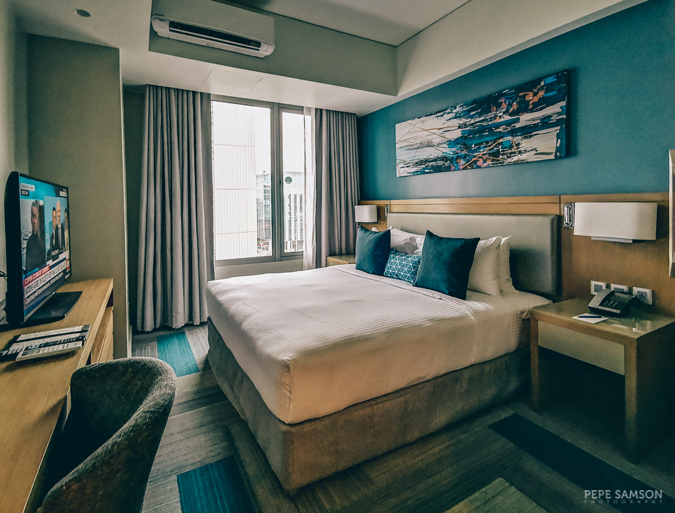 Situated in the midst of the lively Entertainment City in Pasay, Citadines Bay City is primed to become your home in this side of Manila. 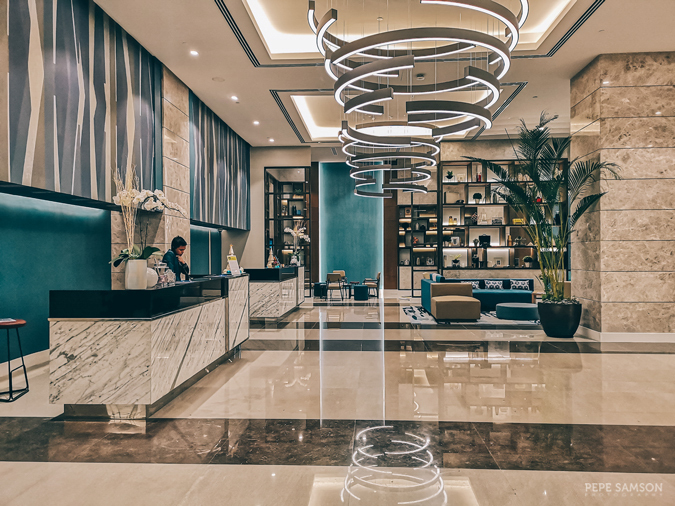 Managed by the esteemed Ascott Limited, Citadines Bay City is an apart’hotel boasting of 212 well-appointed units; a full-service restaurant; and a range of amenities tailored for business and leisure travelers alike. Whether you’re looking for a weekend getaway with the family or staying in Manila for business for an extended period, this property—along with its excellent location—is sure to meet your needs. Read on to find out more about this stunning property. Ideally located in Entertainment City, Citadines Bay City is steps away from a lot of shopping, dining, and amusement venues. With a mall right beside it, guests will find a lot of restaurant options and can even shop for groceries. There’s also a convenience store, a drug store, an indoor playground for kids, and wellness service providers like salons and a dental clinic. 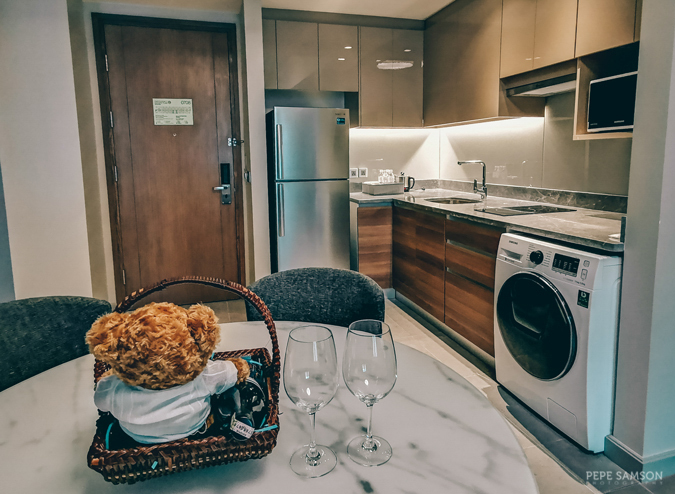 The apart’hotel is also a short drive from the airport, the train station, a whole lot of casinos, and one of the largest malls in the Philippines, SM Mall of Asia. Be prepared to never want to go out if you book one of the spacious One-Bedroom Premier apartments (check rates here). This unit type features a cozy bedroom, separate living and dining spaces, a fully-equipped kitchen, and an en suite bathroom. 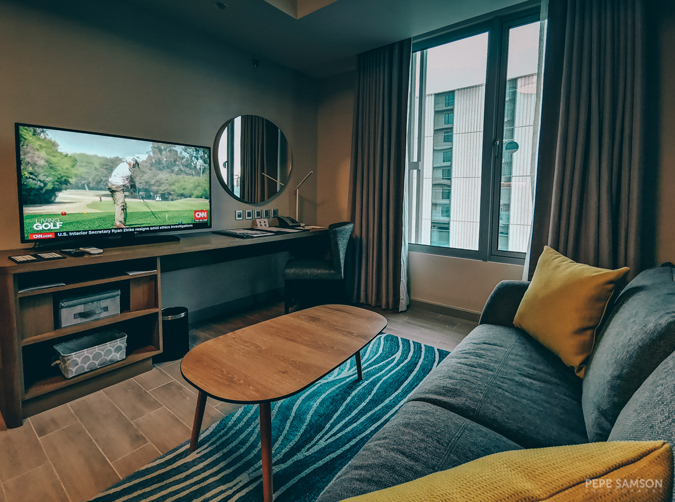 Some units are convertible into connecting rooms; therefore if you are staying as a family, you may a One-Bedroom Premier and a connecting Studio: a “two-bedroom” unit. The bedroom has a Queen-size bed topped with a fluffy duvet and soft down pillows. I wouldn’t be surprised if you will find yourself just wanting to watch TV and sip some coffee (or wine) on it all day. Our unit’s floor-to-ceiling windows offer a slice of the city and the hotel’s oversized pool below. 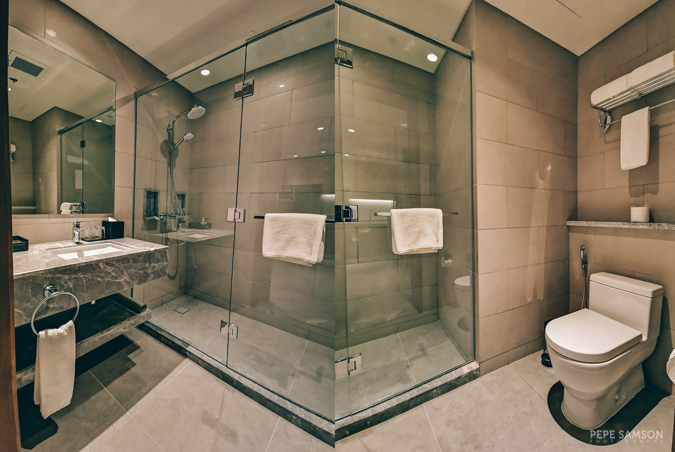 The adjacent bathroom is compact—a wash basin, a toilet with bidet, a walk-in shower—and is equipped with eco-friendly toiletries. The living area, with its 4-seater sofa, also functions as a workspace. 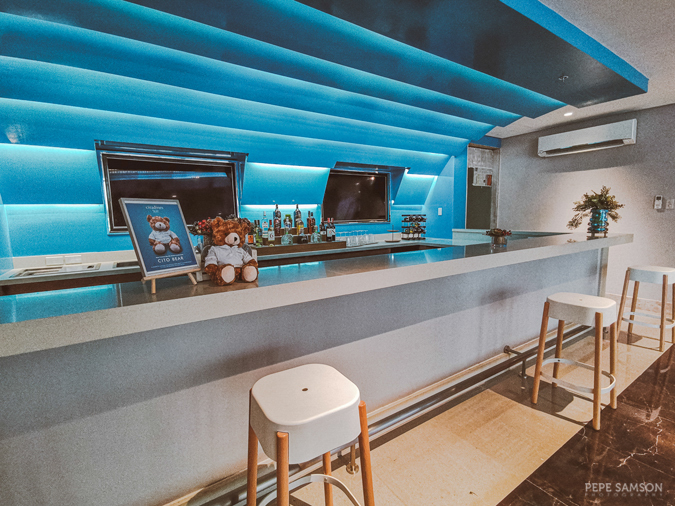 Right beside the flat screen TV is a desk with chair where business travelers can comfortably squeeze in some work. 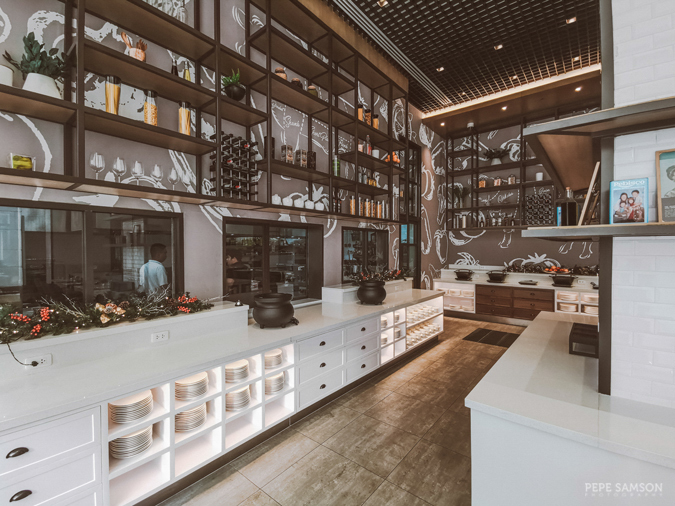 The neighboring dining space can accommodate 4 persons, and guests who wish to prepare their own meals can do so with the kitchen’s equipment: a stove with hob and hood, cutlery, microwave, rice cooker, and toaster, to name a few. Complete sets of plates, glassware, and utensils are also provided. There’s a washer and a dryer in the room as well, so long-staying guests can do their own laundry. If you are looking for a more economical choice, opt for one of the Studio apartments that are designed with the same standards in mind. Furthermore, call the hotel for a special rate if you are staying for more than 30 days. It is worthy to note that in each floor, there is a security personnel round the clock. 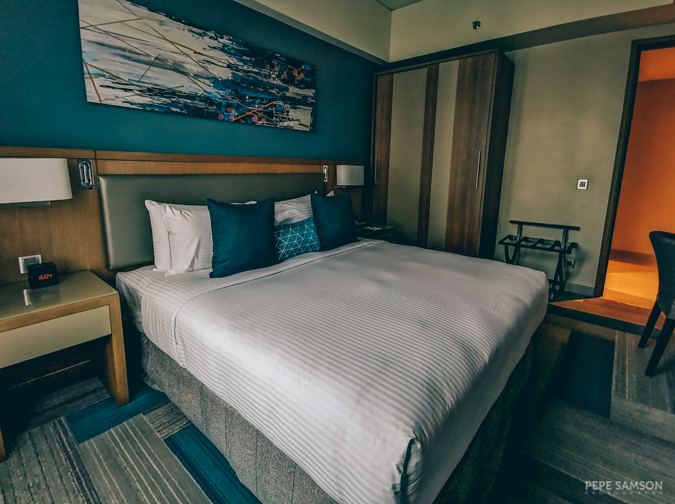 Click here to find the BEST room rates at Citadines Bay City Manila. Warm smiles invite guests not just upon checking in at the hotel but also upon entering the cheery Bay City Café. Its décor consists of spotless white panels perfectly complementing the high ceilings, shelves that resemble a kitchen cupboard, hanging geometric installations, and sofas and chairs in muted tones. 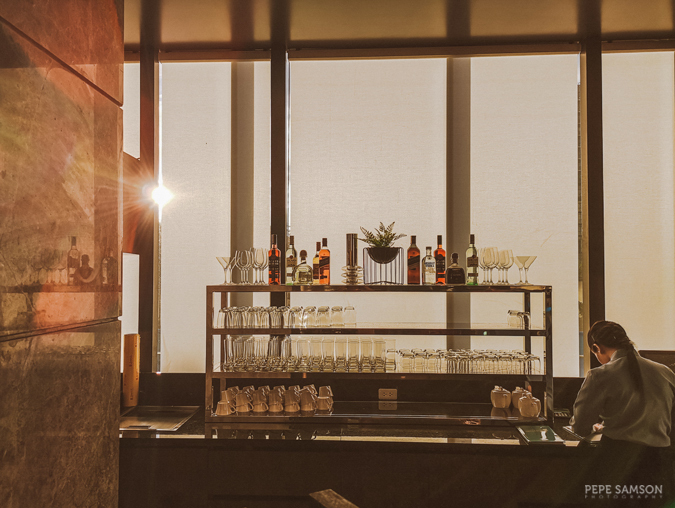 With its wall of windows, the space is bathed in light, and diners can look out to the city when the shades are up. 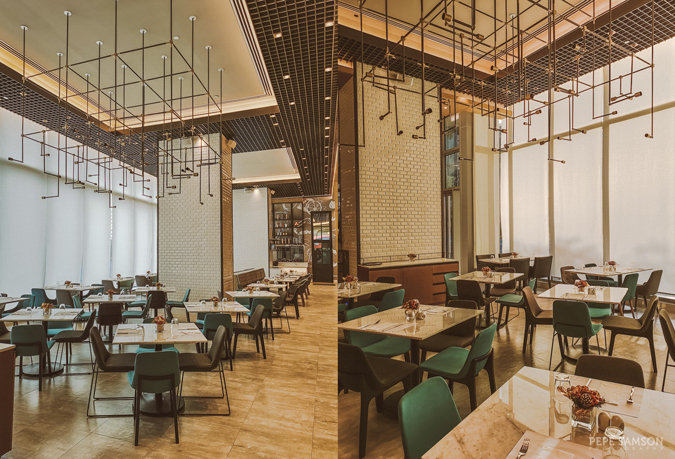 Basking in this cozy ambience, guests can enjoy their breakfast buffet or order from the ala carte breakfast menu if their booking doesn’t include breakfast. 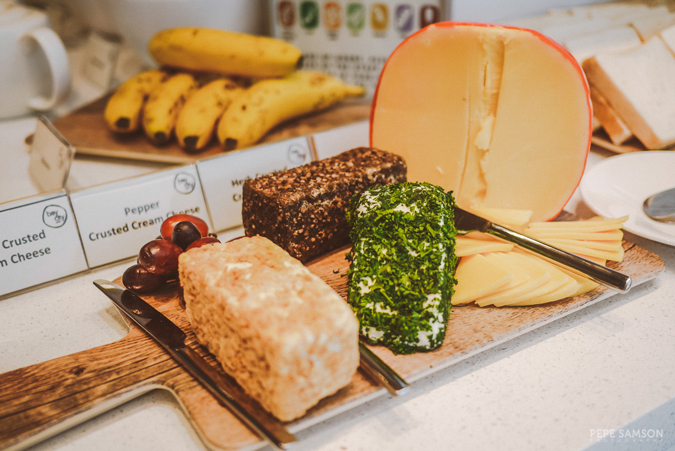 The choices are compact yet thoughtful, with several breads and pastries, American favorites like waffles and pancakes, breads and cheeses, some rice and viands, a make-your-own salad station, soup, and a few dessert choices. 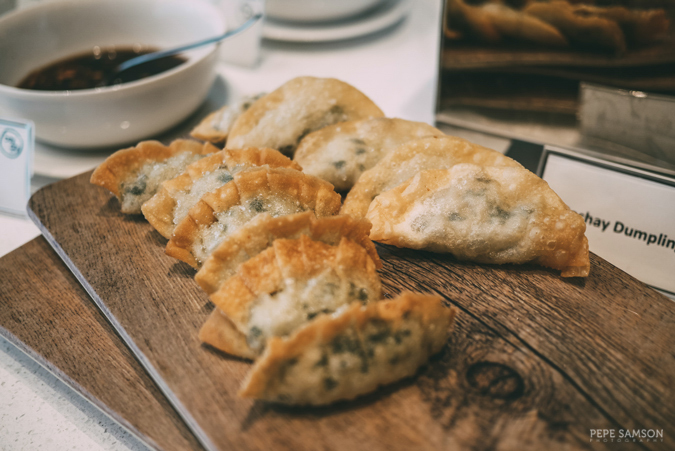 Bay City Café is also the hotel’s all-day dining restaurant, so if you wish to have lunch or dinner here, try their Asian and Western offerings. 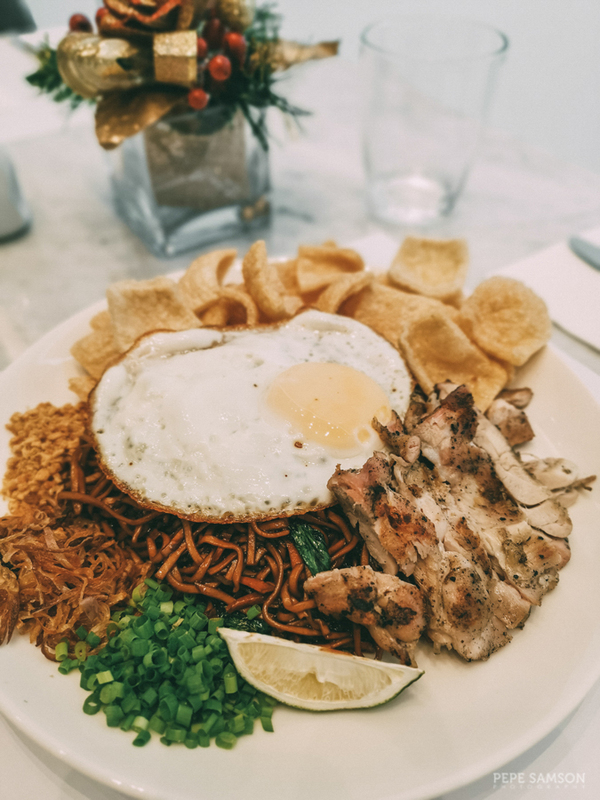 I loved their Mie Goreng—Indonesian spicy fried noodles served with a fried egg, prawn crackers, and grilled chicken. Filling and super delicious! Just across the Bay City Café is the Lobby Lounge where you can enjoy a light snack, coffee, wine, beer, or cocktails. The long communal table is also a nice place to work in. 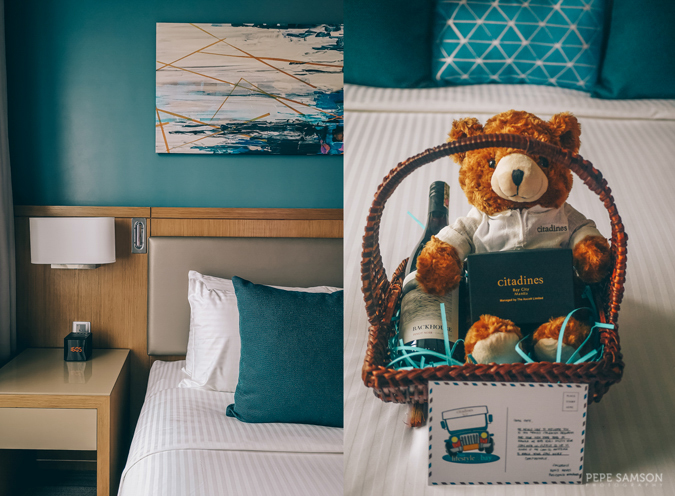 Checked-in guests have exclusive access to Citadines Bay City’s lifestyle facilities. 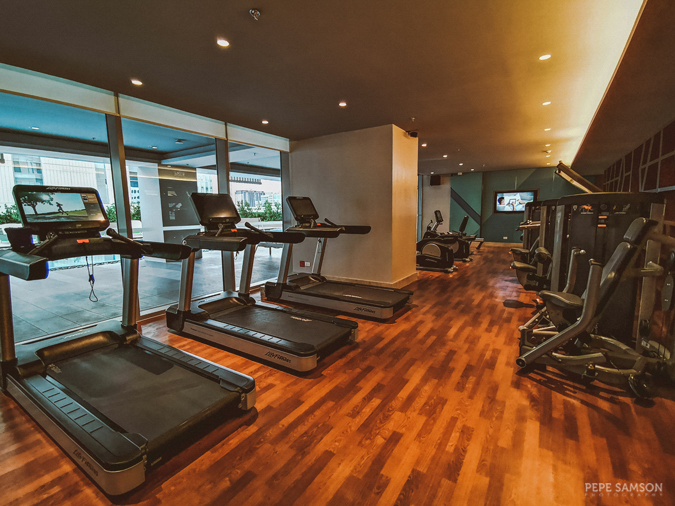 My favorite is the spacious and well-equipped Fitness Centre, which boasts of resistance machines, cardio machines, a jogging path, free weights, and a dance area for group exercises. 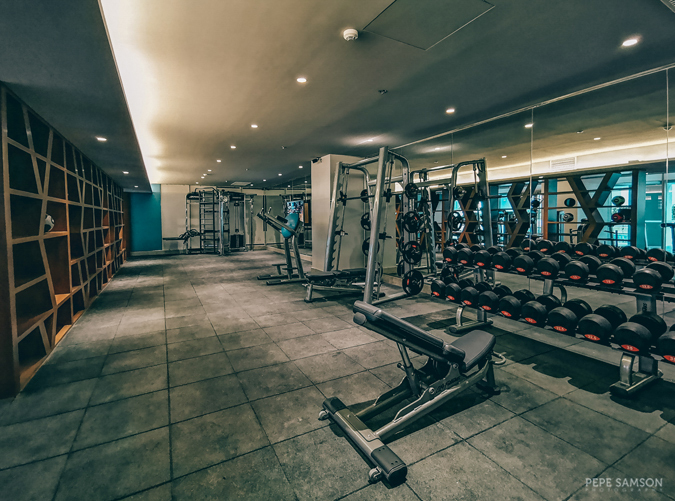 It has enough equipment to perform everything you typically do in a regular gym. The layout feels airy and cheerful, creating a very motivating venue for sweating it out. Best of all, it’s open 24 hours! 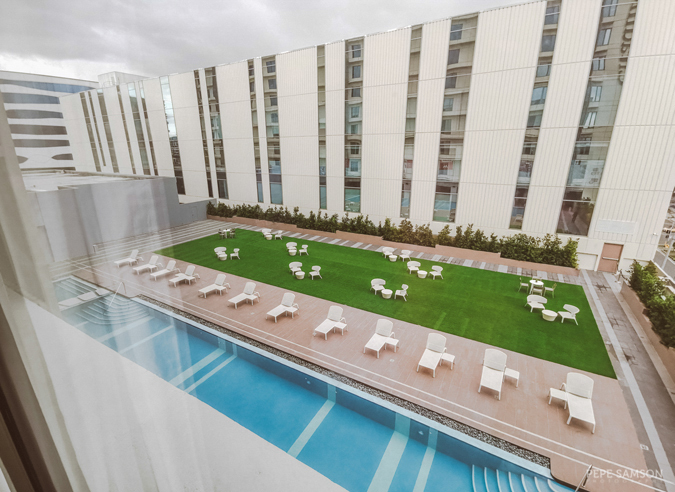 Just outside the gym is the 25-meter swimming pool offering a view of the city. Lounge chairs surround the pool, and the pool bar is just nearby, inviting guests to grab some drinks as they relax under the sun. 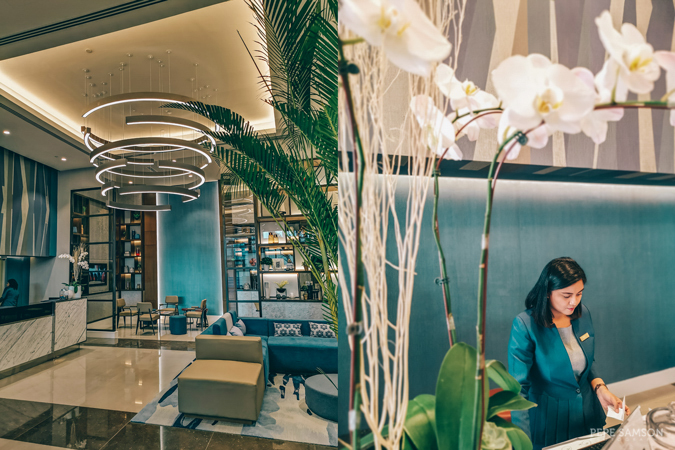 Citadines takes wellness seriously––although there is no full-service spa, massages, facials, and other treatments can be booked with their partner provider, Paradasia Royale Spa, and can be enjoyed in-room. 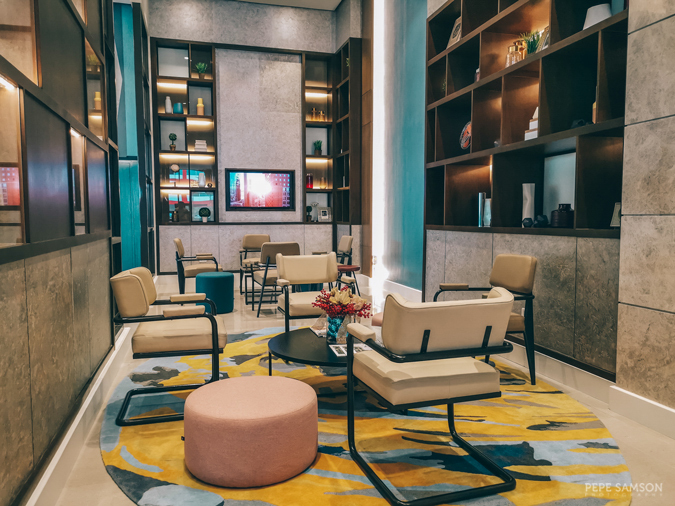 Down in the lobby, the Residents’ Lounge offers a cozy space for checked-in guests to relax, do some reading, watch TV, or entertain friends. 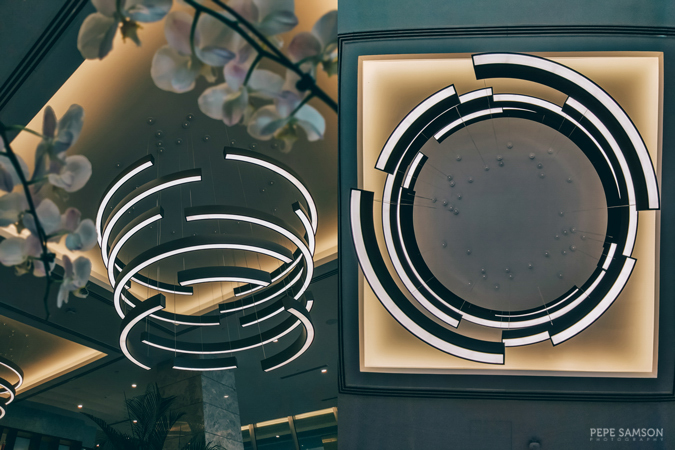 Other amenities of the apart’hotel include a launderette, several function rooms for business ventures, and a 230-seater ballroom for events and celebrations. Perhaps for some, Manila is a little bit too much; but for others, the city’s energy is a thing to be experienced. With its dynamism, great food and nightlife scene, and rich culture, it offers so much opportunity for aimless wanderings and focused explorations. 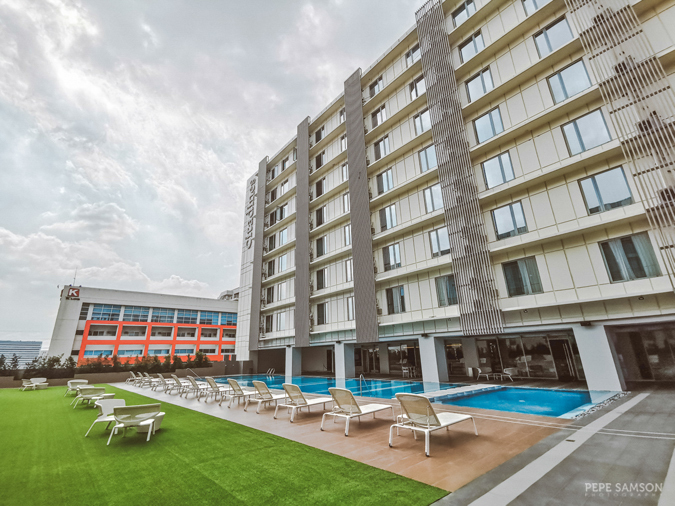 But whether you’re here for a business trip and eager to do a bit of sightseeing or a leisure traveler who wants to get immersed for a few days, Citadines Bay City gives you that flexibility while providing all the essentials for an amazing stay. 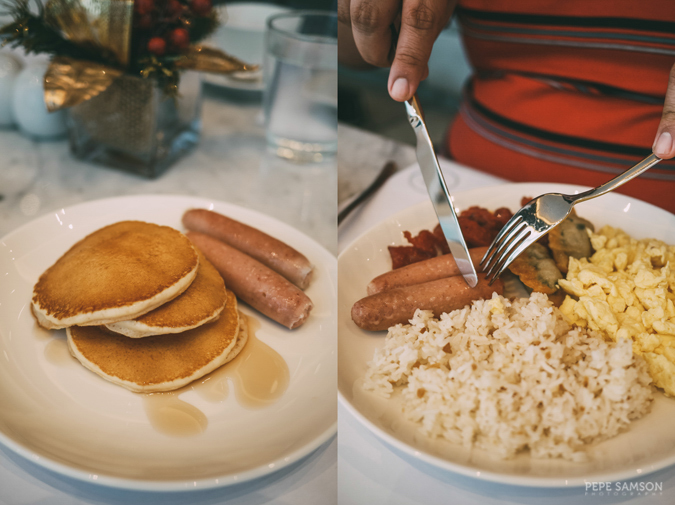 Yummy selections from Bay City Cafe's breakfast buffet and a la carte menu. 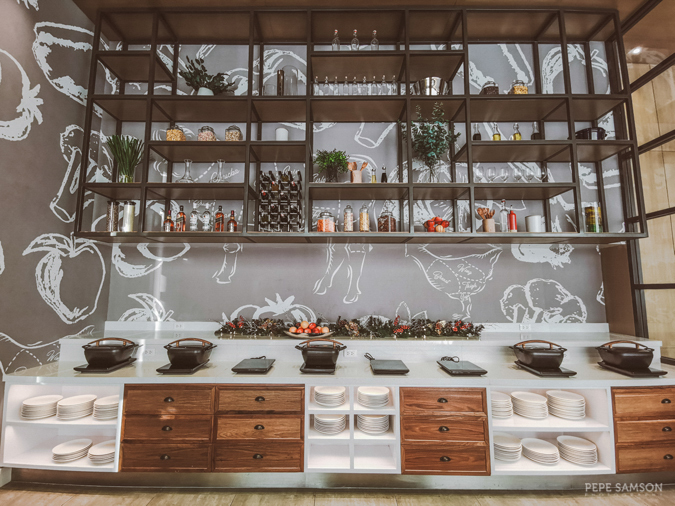 The apart'hotel has a no-nonsense ambience that's still conducive to leisure time. In the heart of Pasay with commercial and entertainment establishments nearby. 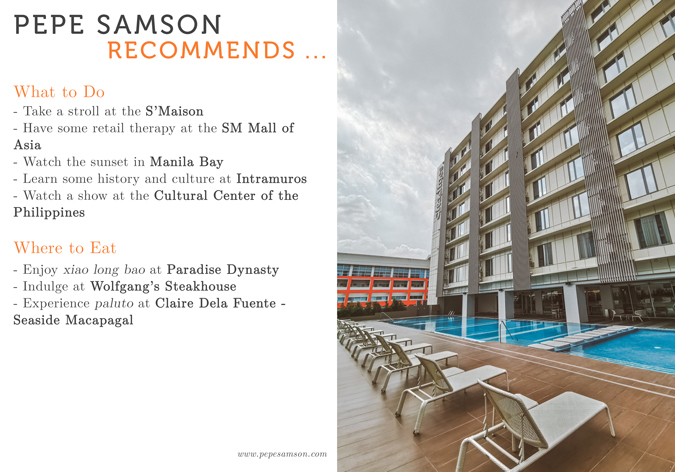 A great place to stay in Pasay for business and leisure travelers. 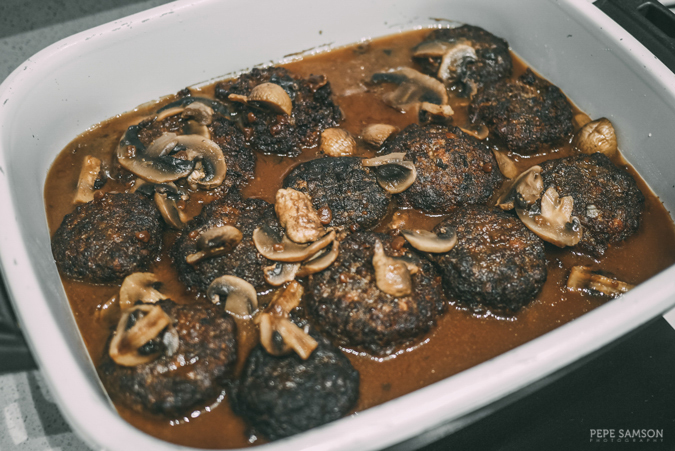 Add more items in the cafe's a la carte menu. 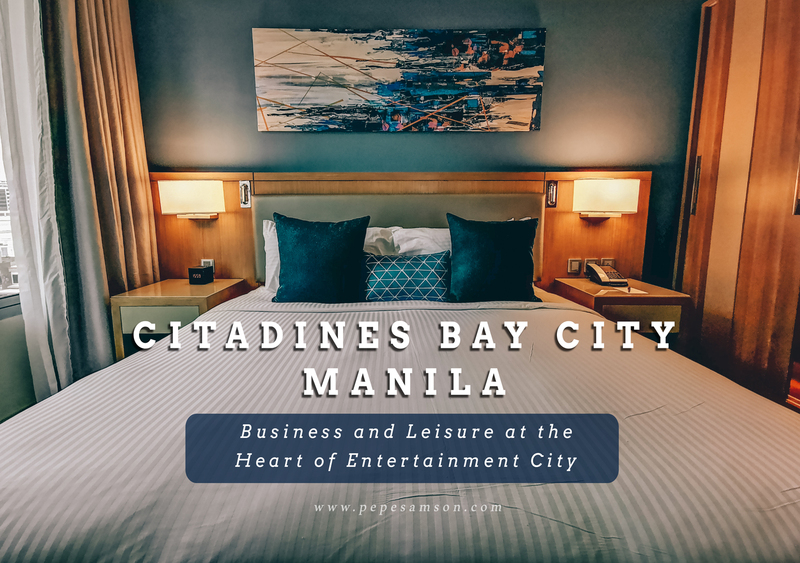 Have you stayed at Citadines Bay City Manila? How was your experience?